Kids’ stuff can take over the whole house if you let it. My strategy… limit the amount of stuff you have and give everything a home. 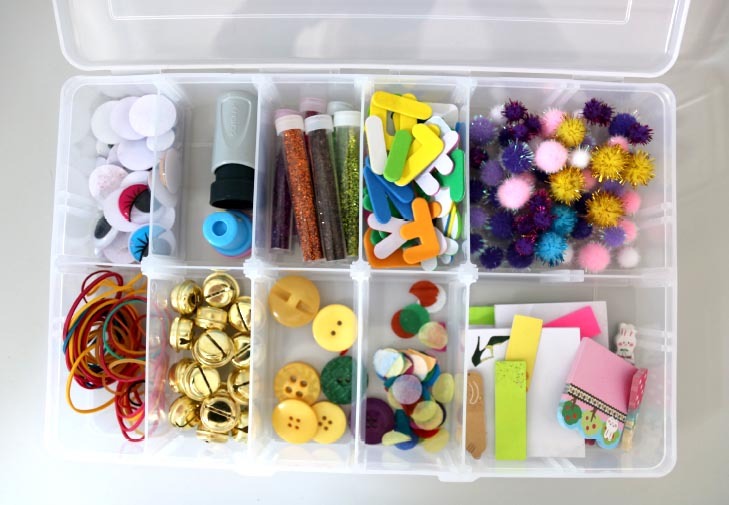 One area that gets crazy is the craft supplies and that’s the next job on my list! It can be overwhelming looking at what’s to sort. The key is to take one step and one item at a time. Above pics showing you the space before l get started. 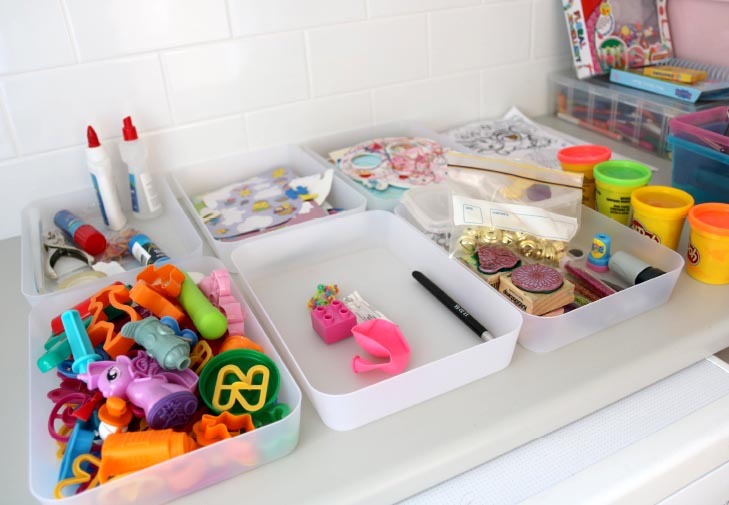 STEP 1: Clear and clean a nearby surface, so you have space to sort the contents. STEP 2: Find some containers/boxes to help sort items. Grab whatever spare ones you have lying around the house. STEP 3: Start sorting all of the items into categories, keeping ‘like’ items together, e.g. colouring books, stickers together, paper together, etc. 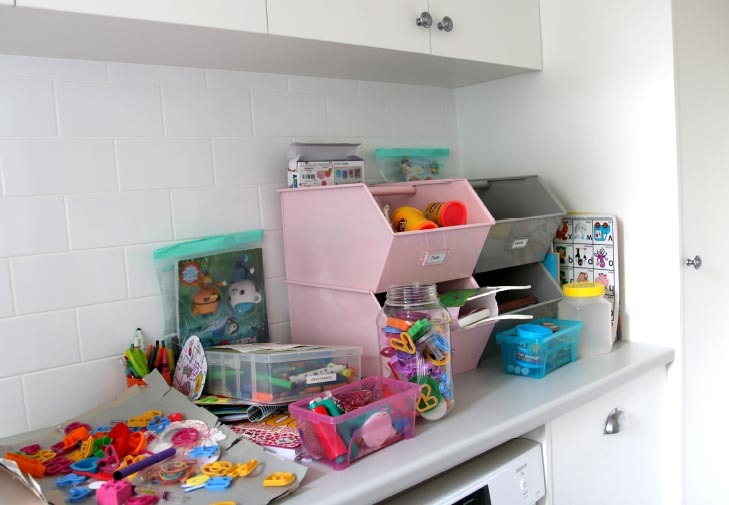 STEP 4: Declutter items you no longer need, use, that are damaged, or items that should be stored elsewhere. You should now be left with the items you would like to keep. STEP 5: Clean the surfaces of the storage area. 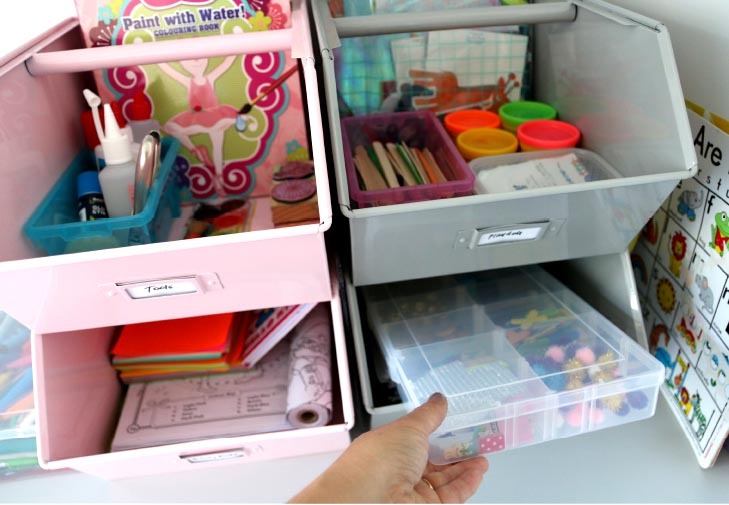 Then find the appropriate storage for each item. 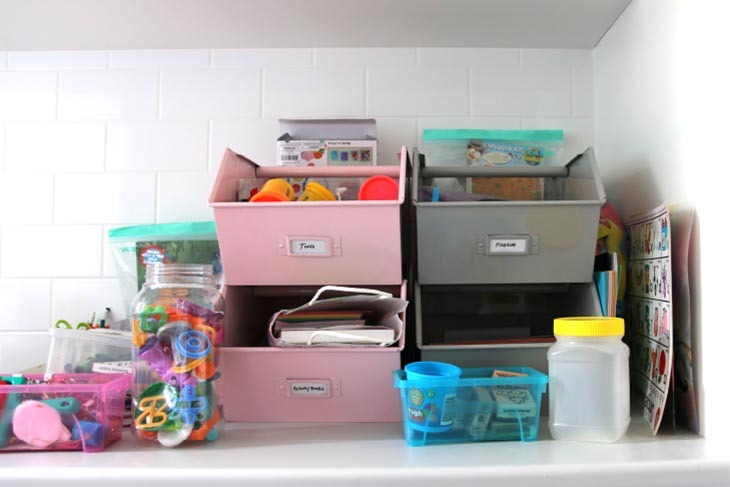 Put away remaining items and label storage. 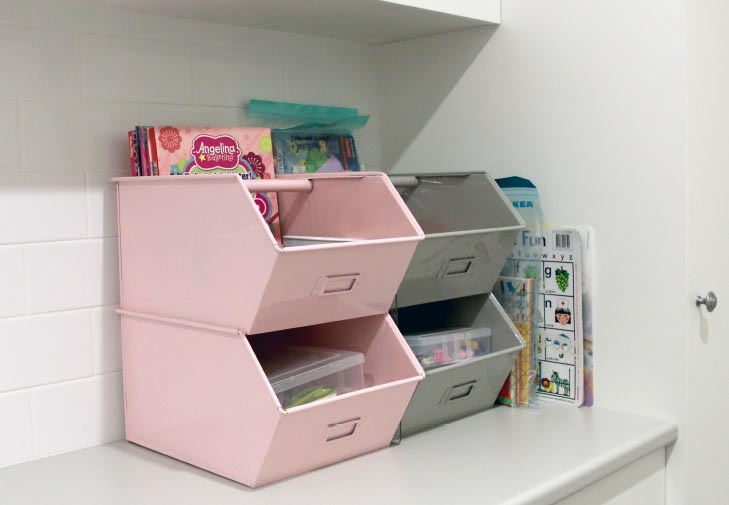 Once l have separated items into storage l put them in the above storage bins… sorted! ONE LAST THING! What do you do with the artwork?! My daughter draws a million drawings every day! They are lovely but let’s be honest, there’s only so many you can put on the fridge! There are many ways you can deal with the pile. I pin up my fav ones for a while, then take a photo before it goes in the recycling. OTHER IDEAS: 1. 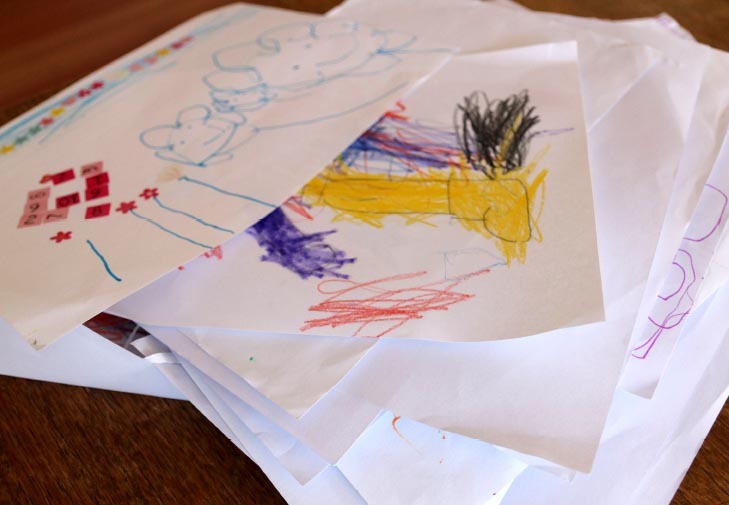 Reuse drawings as wrapping paper. 2. Take photos of drawings and 3D art and make a photo book. 3. Frame your fav painting and change every now and then. 4. Create your own mini gallery and cover a wall or a shelf in your house. 5. Add your favourite picture to a ‘memorabilia’ box every 3-4 months. 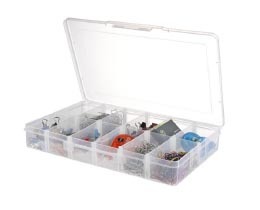 + Compartment containers from Officeworks are perfect for storing all those small craft bits and pieces! 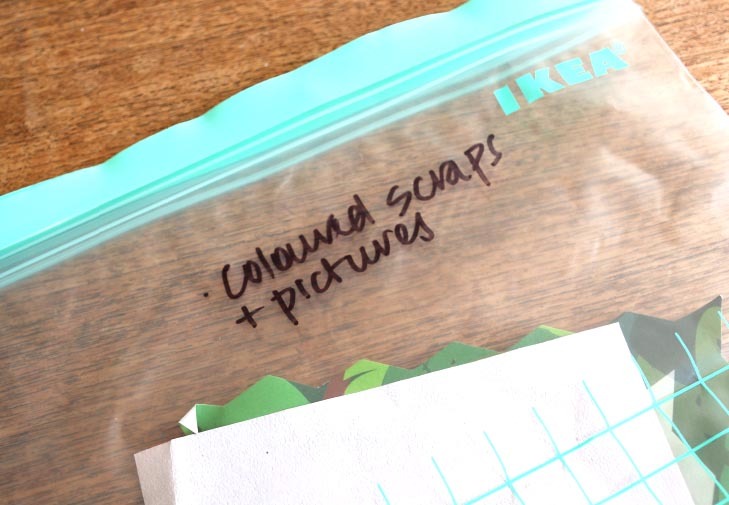 + Sharpie permanent markers great for labelling different surfaces. 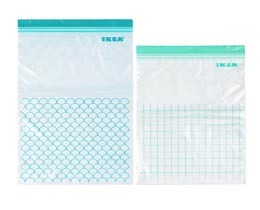 + Snap lock storage bags from Ikea. Great for keeping paper, stickers, etc. organised. TIP: Don’t buy more craft supplies just because it’s on sale! I limit the amount of supplies we have. At the end of the day my daughter is happy with some paper and pencils or some old packaging from the recycling bin!